Click the button below to add the DSA PBT/ABS Blank Keysets to your wish list. Please note that colors pictured are meant to serve as a guide. Actual keycap colors may vary. Slight color variations are within industry standards of acceptability. Additional Keys can be purchased when ordering our stock DSA or G20 blank keysets. 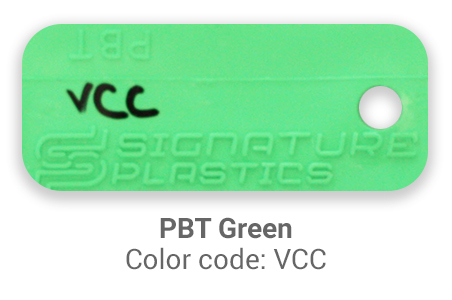 This option allows a customer to further customize their keyset by adding keys with a different color. Additional keys can only be ordered when purchasing a stock blank keyset. These keys are $5.00 each. Use the "NOTES" section at Checkout to indicate the key size and the color you want. Love these high quality keycaps! These were my first keycaps and it was definitely worth the price! I ordered two sets of blank Ergodox Modifier DSA keys. They arrived on time, well protected, and the color samples on the website were very accurate. I ordered a BDJ blue and OAX orange. The caps were all the same size and had no flashing or breakouts where the injection gates would be. I highly recommend this product to anybody who wants a quality custom cap. Shipping was really fast, and the keycaps are great quality and feel really nice to type on. I only bought their PBT keycaps, not their ABS keycaps. I'd definitely buy from PMK again. Really nice keycaps and I'm loving the colors I chose - got PBT Ortho base in Blue (BCT) and Ortho modifiers in Black. Everything fits super tight on the keys themselves, almost afraid of breaking something if I pull one off. There's a little but it flashing/mold marks on one edge that I wish has been cleaner from factory but it wasn't enough for me to need to sand and isn't noticable with the caps installed. Very pleased with the caps. The caps feel pleasant, and I like using them. The only issue I had is that some of the barbs from molding are still present. I lightly sanded the edges before putting them on my keyboard. It made a big difference. They aren't the best caps I've ever used, but for the price they are great. Exactly what I expected. Keys feel great.Wish there was more 40% support though as I had to order a few blank sets to cover all of the key sizes on my Vortex Core. Still worth the price though! 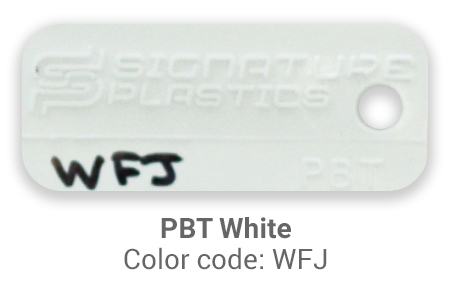 I've heard many good things about Signature Plastics keycaps so I ordered some of these DSA PBT keycaps for my custom number pad build. The order was fulfilled quickly and the shipping was appreciably expedient. Once I received the keycaps I looked them over closely to compare them with the keycaps I've received on my boards. These keycaps are very well made. They have a pretty nice thickness to them and very little to no mold marks (or whatever you call those little bits of plastic on the top side where they left the machine); you wouldn't even see them unless you looked very closely under a light. They feel good to type on and have a nice grit to them that I expect would extend their lifespan or original look. One downside to these keycaps is the price. I purchased the ortholinear base set at $30 shipped. I could've purchased a full set for $45 elsewhere, but I cannot attest to their quality in comparison to these. Nonetheless I am satisfied with my purchase and will likely purchase Signature Plastics keycaps in the future for my nicer boards. When I ordered it, I got a message saying my modifiers would be missing a 2u key due to timing between batches and I could either wait or have it sent along. It was super nice to be given the option and they even included a free DSA signature plastics branded key and an G20 key. Pretty awesome since I'd been curious about the g20 profile. I bought 4 set of ortholinear blank sets (NEM/WAN/YAM/RCG) to fill my incoming Preonic and XD75re. My only deception is that i don't have reveived either of them yet, and so i put the caps on my corsair K65 to test them. The plastic gives a strong feeling, and the touch is really good. Since my K65 had non-flat design keycaps, it took me a little time to get accustomed to them, but in the end they feel reallyh, really good ! was it worth 120$ ? Probably yes, even if it feels a little expensive... If you don't care too much about money, i would recommend them so much. Only the delivery was a shame, but this is the faullt of the french postal services i think.